A concept that uses the replicated space of Nelson Mandela’s Robben Island prison cell to provide a physical space for people to have open and honest conversations. The iMadiba project was conceptualised and created by Stellenbosch-based photographer and artist, Erhardt Thiel. In the insurance industry there are numerous events through the year and this year it’s great to have the CN&CO team organising the African Insurance Exchange (AIE) conference on behalf of the Insurance Institute of South Africa (IISA) and the South African Insurance Association (SAIA). Each event provides an opportunity for us to engage and start a conversation with the people around us, reconnecting established relationships and building new ones. Let’s break down walls, start conversions and embrace the diversity. 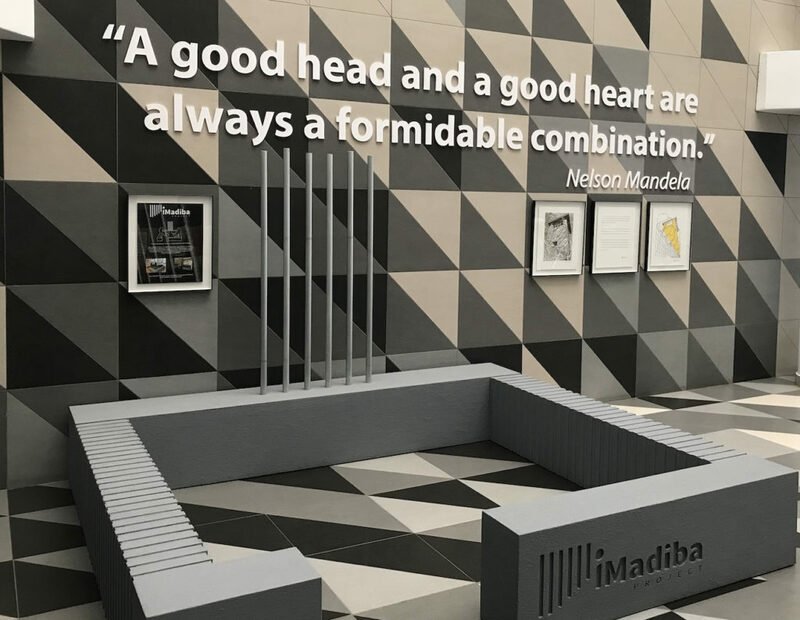 One of the aims of the iMadiba project is to do just that and assist the Nelson Mandela Foundation in its objective of honouring Madiba’s legacy, and inviting conversations in safe spaces. There have been 20 micro museum sites build in a range of locations from schools and universities to museums and sculpture parks.Econorisk, a group of leading independent risk and short-term insurance advisors, were one of the first corporates to support the iMadiba project with the installation of their own micro-museum. Our friend Tony Van Niekerk, Editor of COVER Magazine, recently caught up with Erhardt Thiel, where they discussed “The Imadiba Project & their Newest Micro Museum sites.